Correction: Earlier version of this headline referred to Miss Piggy. GRC regrets the error. 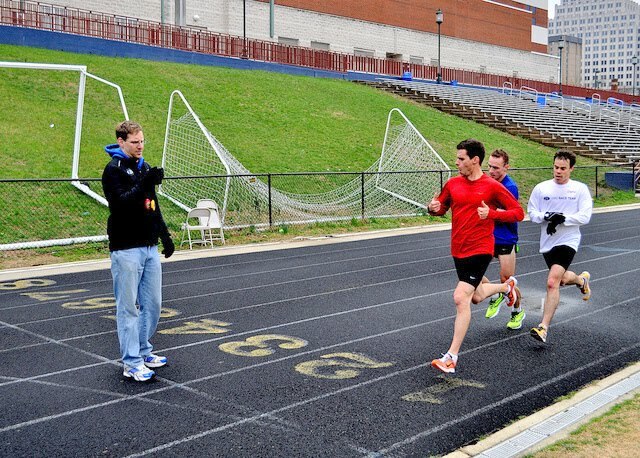 The Georgetown Running Club granted star distance runner Joe “Wiggy” Wiegner III his release Tuesday, allowing him to sign with the Monocacy Running Club. 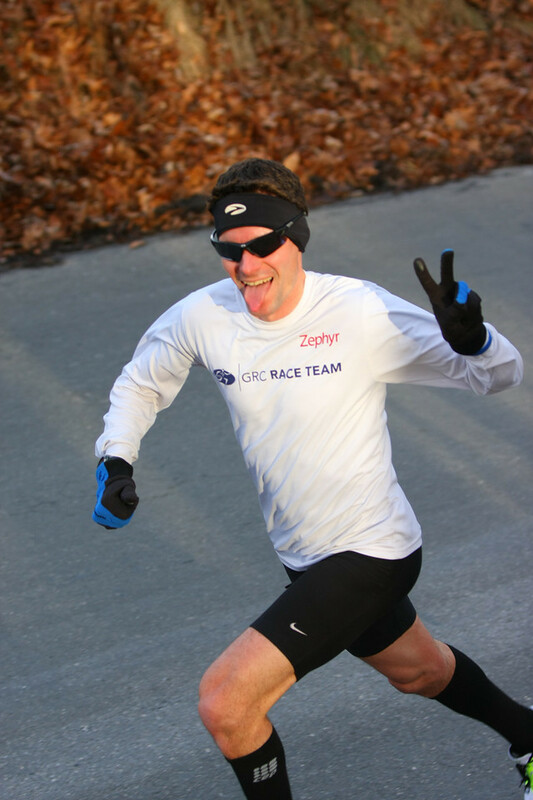 Some of Wiggy’s highlights for GRC include victory at a scorching inaugural Father’s Day 8k in 2010, a 61st place finish at the 2010 USATF Club Cross Country Championships, 50th place at the 2011 U.S.A. Cross Country Championships and a 30:32 10k at Pike’s Peek in 2013. He was a member of the GRC Dream Team that won the 2011 Cherry Blossom team title and did markedly better than the Philadelphia Eagles' Dream Team that fall. He, however, ran zero marathons. He also tried his hand at blogging, maintaining PA to DC/MD TAKE TWO!, which later became The Next Step. Never one to shy away from intrigue, he maintained a voluminous collection of incriminating photos and documentation referred to colloquially as "Wiggyleaks." He previously held team records in the 1,500 meters (3:54.25), mile (4:12.72) and road 5k (14:44). He held those records simultaneously for two years, and each record for at least four years. He still has the second fastest track mile time for the team. Perhaps the greatest lost opportunity was a duel with his heir, Ryan Witters, who displaced him as mile record holder. “I’d like to thank the GRC for its support over the years, including allowing me to make this move, which will truly be in the best interest of my family,” his representative said via prepared statement. But rather than making a cash grab (and believe me, GRC offered to just pay the guy already), Wiggy’s new arrangement reflects the priority he places on his life at home. 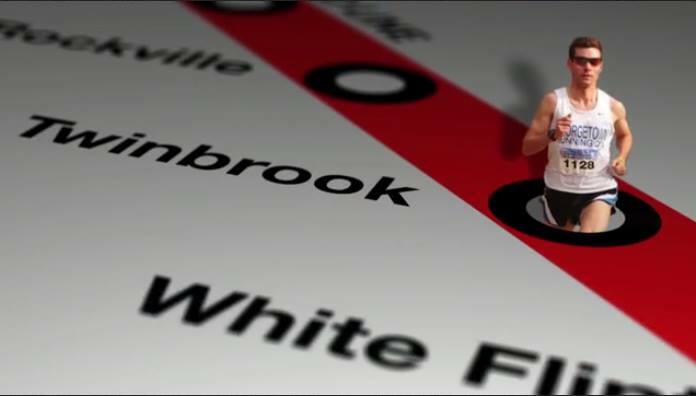 Last September, fulfilling part of Jake Klim's 2010 prophecy, he married Brandi Firman (but no Baby Wiggy is on the way, yet), and the couple soon plans to move to Frederick, far from where he once often met for group runs in Bethesda, back when he lived in Rockville (near the White Flint Mall!). In fact, the mall’s closure and redevelopment and the recent closure of the Bethesda Union Jack’s serve to remind us that nothing lasts forever. The Wigloo melts, you take the boy out of Twinbrook, everyone grows a little older and their legs feel stiffer in the morning. Wiggy's last participation in a team race was at the 2014 USATF Club Cross Country Championships, for which he went from near dormancy, to shades of the young man who once practically owned the fields of Lehigh University while a Pennsylvanian youth, in about two weeks. He also said that he hopes that a training situation closer to his home and more congruent with his responsibilities and free time will renew his devotion to his own participation in the sport, which has been challenged lately, though his love for it has remained steadfast. “Joe Wiggy will always hold a special place in my memory as a guy who loved to run, and loved to compete,” said GRC Coach Jerry Alexander. “His talent was undeniable, and he had some memorable races, including his excellent 30:31 at Pikes Peak, and his 4:12 mile at Penn Relays, and his finest moment in a GRC jersey was unquestionably his 61st place finish at Clubs in Charlotte in 2010. Wiggy and Alexander are fortuitously linked. When Wiggy confronted the disappointment of not being able to make this marathon debut in Chicago in 2010, his subsequent desire to find a more formal coaching arrangement provided an impetus for Alexander to join the team. A native of Ivyland, Pa., Wiggy started running as a freshman in high school, and was so excited during his first practice that his father encouraged him to run home, lest he get his sweat all over the family car. His Council Rock cross country team scored a surprise win at the 1999 large schools Pennsylvania state meet, thanks in large part to his fourth place finish, which he followed up with a second place finish in the state outdoor 1600 meters. He ran at James Madison University for a year before settling at Lock Haven, where he was a cross country All-American. He then shuttled between a stint on the early GRC team, then back to coach at Council Rock South, then back to Maryland for good in 2009. Contrary to popular legend, he never toured with the band Sugar Ray. 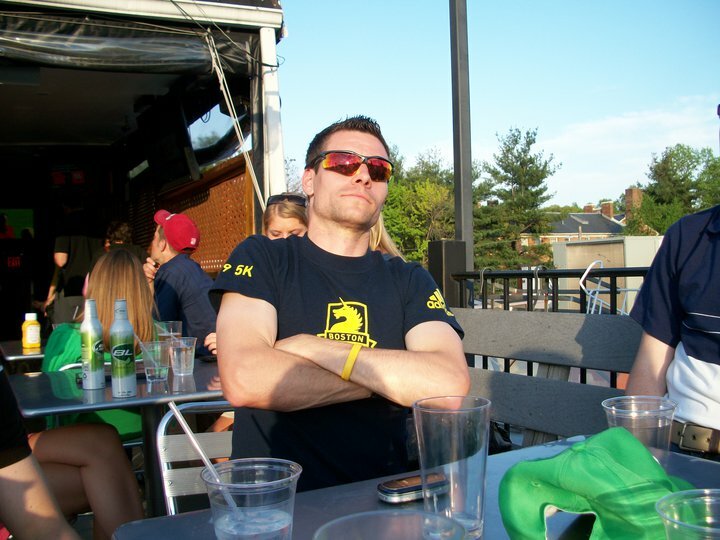 Wiggy has a preternatural ability to bounce back into shape within a few weeks' training, which was apparent from his 2013 Pikes Peek race, just months after resigning himself to life as a jogger, taking cats to the vet. While his running became intermittent, his friendship never, and will never diminish. His sincerity is an anchor in an increasingly sarcastic culture. At the same time, he pioneered the popular fauxhawk hairstyle, which was the first word out of everyone's mouth when they entered barbershops from 2010-2014. 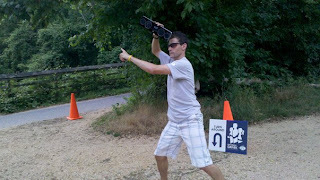 His magnetic personality drew many, particularly members of the Four Horsemen, who followed him like the Pied Piper, only instead of a pipe, he had speakers and an iPod dock, and he led them to the dance party at the Father's Day 8k turnaround. The GRC expresses its most sincere appreciation to Wiggy for all of his involvement, support, enthusiasm and dedication over the last nine years. He is always welcome back. We wish him good fortune, fulfillment and great running with the Monocacy Running Club. You're lucky to have him. The roster move will free up space for Murat Kayali to sign a one-day contract to retire as a member of GRC Saturday.